Just a few little notes about what’s on my playlist, my nightstand, and my stove these days. On my nightstand: Last week I blogged about my intent to put my writing first this year; to start the day creating art. 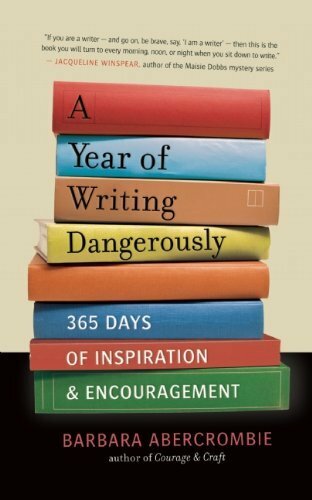 As a part of this, I’m kicking off each writing session by reading a short passage from Barbara Abercrombie’s A Year of Writing Dangerously, 365 Days of Inspiration and Encouragement. Only twelve days in, but I’m loving it so far! So– what’s on in your world these days?